I recently visited Giant Interactive's (GA - commentary - Trade Now) offices in Shanghai. The massively multiplayer online (MMO) game maker has been around from almost 10 years. It was started by colorful Chinese tycoon Yuzhu Shi. Eric: What do you think of the recent Chinese frauds and your CEO speaking out in favor of Jack Ma (Shi tweeted on Sina (SINA - commentary -Trade Now) Weibo that Ma was a "patriotic hooligan" a few days after the Alipay newsbroke)? GA: Definitely there has been some backlash against Chinese companies in recent weeks. Our CEO got involved with Jack Ma because he and Ma have been friends for a long time. He wanted to express his opinion and was surprised at the reaction it got from some Yahoo! (YHOO - commentary -Trade Now) investors and supporters. However, this issue doesn't affect our business. Eric: Your shares went to a high of $9.45 a share recently, but they've come down since. Do you think the CEO and the recent frauds have anything to do with the pullback? GA: Wall Street people now think many Chinese companies are overvalued and therefore some of the newer IPOs have been having a hard time. But our businesses are still good. The original ZT game is still very profitable. We launched ZT2 last November, it spread through word of mouth, and the number of users has grown healthily without much use of marketing. In the first quarter, ZT2 didn't contribute much to our revenue, but it will contribute more revenue this quarter, and we hope the trend will sustain at least for the next 8 quarters. What Does It Mean That Apple Had Its Worst First Half Since 2008? Apple's stock price has treaded water compared to the market in the last 6 months. History says that is a sign you should buy the stock. Read my full post here at Forbes. What Are The 7 Biggest Risks Facing China? I'm not so worried about the Chinese property market or "ghost towns." Here are the 7 biggest risks that worry me about China. Read the full post in Forbes. What Does Microsoft Have Up its Sleeve? 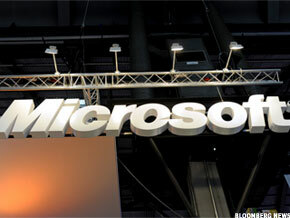 NEW YORK (TheStreet) -- The price action in Microsoft(MSFT_) this week has been unusual to say the least. The stock jumped 4.5% on Monday. That would be equivalent to Sina(SINA_) jumping 45% in one day. That just doesn't happen for Microsoft. The stock also followed through nicely yesterday moving up another 1%. There wasn't any real news to explain the move in Microsoft, although some pointed to a Tuesday cloud-computing conference Microsoft was hosting or a report that they would move up the release date of Windows 8. That leads me to speculate on the real story behind the move which probably a few insiders are only privy to at the moment. David Einhorn has said previously that he hopes to see Ballmer gone as CEO, as he thinks he's a weight on the stock. I don't disagree that there would be a rally on the news but I just don't believe Ballmer is ready to leave. Ballmer has only been there 10 years but, more importantly, he owns 5% of the company. He's essentially a co-founder with Gates and Allen. That means he gets to leave when he wants and I just don't think he's ready to go out when some New York hedge fund manager tells him to. The other possibility is that the U.S. government will let Microsoft and other big corporations repatriate all their offshore cash back home. Many people seem to believe this will be a boon for the domestic economy as corporations will be able to invest more back home. Maybe that will happen. And maybe it will be good for the economy. And maybe that's why all stocks have been up this week. But if that is the reason behind Microsoft's jump in its stock price, why haven't we seen a similar move in Cisco(CSCO_) which also has a big cash hoard outside the U.S. There has to be something else. The second quarter has not been kind to Chinese tech stocks. After flying high from January to April, big China techs such as Sina (SINA - commentary - Trade Now), Sohu (SOHU - commentary - Trade Now) andBaidu (BIDU - commentary - Trade Now) got walloped. Newbie China tech IPOs such as Youku (YOKU -commentary - Trade Now), Dangdang (DANG - commentary - Trade Now), and Qihoo 360 (QIHU -commentary - Trade Now) got hurt even more. Jack Ma transferred out Alipay from Alibaba, sending Yahoo! 's (YHOO - commentary - Trade Now) shares down and worrying Americans that there is no rule of law in China. In the midst of this wave of bad news and worry, I happened to be traveling through China, meeting with several tech companies. I was asked about if we were in a bubble more than anything else while I was there. What I said then and what I still believe now is that this is not the beginning of the end but the end of the beginning. The Chinese Internet bubble is not bursting now, and I don't believe it will burst this year. I still think we have six to 36 months of good times ahead of us. It's hard to know more precisely than that when the party will end -- at least at this point. Translated for investors, that means you shouldn't miss out on a second-half bounce-back for these stocks. There is a range of quality out there, however, so you need to do a lot of research and due diligence before jumping in. I recommend you stick with two of the biggest quality names: Baidu and Sina. They are solid companies with great management teams that will continue to be in-demand sites for a long time. Everywhere I went in China, I would hear people updating their Sina Weibo status on their iPhones. That is a growing monster service, right there. Similar to Baidu and Sina, Hong Kong-listed Tencent should also do well in the second half of the year. NetQin Mobile (NQ - commentary - Trade Now) is a Chinese company that went public less than two months ago. It's been a bumpy ride -- shares have dropped since the IPO, as NetQin has been caught in the downdraft of everything China-related in this most recent market swoon. I met with CFO Suhai Ji earlier this month at the company's Beijing offices. NetQin -- which is going to start branding itself "NQ" in the U.S. because too many Americans don't know how to pronounce the "Qin" part of its name -- is in the mobile security space. NetQin's ambition is to be theMcAfee (MFE - commentary - Trade Now) or Symantec (SYMC - commentary - Trade Now) of the mobile world. No such mobile security pure play exists today. That makes NetQin unique in that most Chinese companies get criticized for being unoriginal. Most are considered "copycats" of whatever works in the U.S. We have the "YouTube of China" in Youku (YOKU - commentary - Trade Now), the "Twitter of China" in Sina (SINA -commentary - Trade Now), and the "Facebook of China" in Renren (RENN - commentary - Trade Now). But, so far, rather than being credited for trying a new approach, NetQin has been penalized for being in too small a niche. The company has taken it on all sides of late. Not only has NetQin been punished by investors as part of the "anti-China" bias that has permeated the market in May and June, it was targeted for criticism even prior to its IPO. Don't Expect Much From Yahoo! Many observers are wondering if a big announcement will come out of today's annual meeting of Yahoo! (YHOO - commentary - Trade Now) shareholders. Several reporters have asked me if there would be angry shareholders attending, or if there would be an announcement about CEO Carol Bartz, or some deal with Chinese Internet companyAlibaba Group, which Yahoo has a stake in. Although I would love to hear some big changes announced, I don't expect much from the meeting. I've gone to several of these types of meetings in the past. The biggest shareholders usually stay home. The more senior shareholders who live in the vicinity of Santa Clara, Calif., and enjoy free finger food and coffee will come out. They're not exactly the pitchfork and fire brigade. The Q&A -- even back in 2008, after Yahoo had botched the offer from Microsoft (MSFT - commentary - Trade Now) -- was pretty tame. The Internet pioneer will likely try to keep the meeting as exciting as a trip to the dentist. Expect it to be very formal. Expect short answers to questions. And expect the general counsel to try and make it as quick and painless as possible. It almost never happens that companies announce big news around these events. I am sure that they are working on something about Bartz or Alipay behind the scenes, and they'll likely make announcements in the next few weeks. Well, it all comes down to the votes cast for all the directors up for re-election (there are 10 of them). I have been advocating a "No" vote against 6 of them to help shake off the rust from this board that's probably the worst in America in the last 10 years (maybe they tie with Hewlett-Packard (HPQ - commentary - Trade Now)). I was disappointed last week when the powerful (perhaps too powerful) proxy advisory firm ISS came out in support of all of Yahoo's directors. There are many pension funds and institutional investors who will simply vote the way ISS votes because they can use that as cover later if anyone comes back and gets angry at the way they voted. Nobody ever got fired for buying IBM (IBM - commentary - Trade Now), and nobody ever got in trouble voting ISS's recommendations. Will The Bernanke Haters Please Shut Up? Nobody has a more thankless job than Fed Chairman Ben Bernanke. His critics have no clue how bad shape we'd be in if he'd sat on his hands as they wish. Read the full post here on Forbes. Yahoo! doesn't need another boring and ineffective American to lead it. Let's let an Asian take the wheel - and finally unlock some value for Yahoo! shareholders. Read the full post here at Forbes. NEW YORK (TheStreet) -- I attended a fantastic conference on corporate governance last week at the Millstein Center at Yale University in New Haven. The conference (like the center itself) is organized by Ira Millstein, the famed corporate lawyer from Weil Gotshal & Manges. I'm a believer in strong corporate governance and come at it from the perspective of equity investor via my hedge fund. I've gone to bat against several boards over the years (most famouslyYahoo! (YHOO_) that I perceived of as weak and not best representing their shareholders. One would think I would hold very different views on governance than Ira Millstein, as he and his firm are paid by corporate clients to protect their boards from "overly-aggressive" investors like me trying to push for "distracting" changes. But in fact I found myself agreeing with almost each point Ira made during the various panels and off-line discussions at the group. He's a very practical and sensible man and he wants to see strong boards that protect their shareholders' interests, not insulate their managements from legitimate criticisms. I was more surprised to find myself disagreeing with many of the participants at the conference who I would have thought I'd be on the same side with -- other long-term investors from pension funds, unions, institutional asset managers and even economists, think-tank types or academics who would seem to be on the side of the investor versus "fat cat" managers. One of the more common criticisms on these investors' minds at the conference was how "short-term investors" were hurting our capital markets even more than bad CEOs or bad boards. Marty Whitman of Third Avenue seethed on one of the panels saying: "It's offensive to even call these short-term guys "investors." I would refer to them as nothing more than "market participants." Heads nodded. There was clapping encouragement. And the questions that followed from audience members overwhelmingly concurred. According to most of these attendees, the average hold time of most investors in American companies today is six to eight months. The reason for that is not them (remember they are pensions, labor funds, and mutual funds). They are long-term holders. They are trustworthy. They are doing God's work. The bad guys who caused the flash crash and who force "good" managers to focus on short-term quarterly results are hedge funds (like me). Hedge funds are short-termists. Hedge funds are opportunists. Hedge funds are bad. Don't expect to find the next Baidu in the upcoming crop of Chinese IPOs. However, there are many niche players that will still be very profitable and successful. If Facebook isn't paranoid about Apple and Google knocking them down a peg or two, they should be. Read the full post here in Forbes. Research In Motion (RIMM - commentary - Trade Now) got walloped last Thursday. After the company lowered its full-year earnings guidance, the stock dropped more than 20%. The stock has seen over half its value eviscerated in the last three months. In late December, I interviewed RIMM bull George Papageorgiou of Scotia Capital in a discussionthat appeared here in RealMoney. At the time, George still had a $130 price target and told me that the bears (like me) were missing RIMM's tremendous growth potential from international markets. He said that other market observers were overly fixated on RIMM's problems in the U.S. I countered that I believed the market was correctly anticipating that the U.S. was foreshadowing RIMM's future in other markets, rather than being an exceptional case. Few people remember that last October, Apple's(AAPL - commentary - Trade Now) Steve Jobs made an unexpected appearance on that company's earnings call, staying for the entire call, including the Q&A, which is something Google's (GOOG - commentary - Trade Now) Larry Page could learn from. The Apple call was notable for some comments Jobs made about Research In Motion. He basically pronounced RIMM dead on arrival as a company. He said that Apple had now passed RIMM in terms of number of quarterly units shipped. He said that Apple was a software company while RIMM was a hardware company. He surmised that RIMM would never be able to regain its momentum, now that Apple had passed it. You might not remember all the specifics of the call, but you probably remember that RIMM co-CEO Jim Balsillie went apoplectic and maligned Jobs for trying to perpetuate the "Apple distortion field." Well, here we are eight months later, and basically everything -- and I mean everything -- that Jobs said about RIMM has come to pass. RIMM resembles a passenger from the Titanic flaying wildly in the cold Atlantic Ocean. It has some plans that it hopes will rescue it by late 2012, but by then it will likely be way too late. RenRen (RENN - commentary - Trade Now) recently had its initial public offering to great fanfare, and its best price was moments after it started trading. Ever since, it's basically been straight down to $7 -- two-thirds less than its initial post-IPO price. I recently returned from a two-week trip to China and had the chance to talk to many people within the Internet space over there, as well as a number of users. I didn't meet with RenRen management. Nonetheless, the view that I got from my various conversations is that RenRen is in trouble. It was a very popular social-networking service in China, but much of its user base has shifted this year away from RenRen and over to Sina (SINA -commentary - Trade Now) Weibo. I interview a young applicant for an analyst position for which my firm is hiring there, and she said she used to spend most of her free time on RenRen because all of her friends were on it. But more recently, she said, they'd all move over to Weibo, so she migrated as well. I heard similar stories from many others. Some of this was foreshadowed in the RenRen IPO filing. The company clearly demonstrated that its revenue and active users had hit a flat line in the first quarter of this year. Early buyers of the stock post-IPO hoped this pause was only temporary. But based on my discussions, the trends have, if anything, continued to further go against RenRen's favor. The company raised an enormous amount of money -- $800 million. To put that in perspective,Mecox Lane (MCOX - commentary - Trade Now), whose management I did meet, was a hot Chinese IPO last November, and it only raised about $100 million. So the RenRen bulls can argue that this company has a lot of resources to figure out its business model and try to restart its growth. While that's true -- and kudos to them for hauling in the money that they did -- I don't believe that's a reason to hold the stock. What Will Jack Ma Do Next With Yahoo!? Jack Ma's reputation has taken a bit of a hit in the US and China, since he yanked Alipay out of Alibaba Group and away from Yahoo! and Softbank. her's what's likely to happen next. Please read the full post in Forbes. BEIJING (TheStreet) -- I've spent the last two weeks in China. Most of the time has been devoted to going around and talking to e-commerce and other Internet companies. The sector is hot despite the pullback in stocks in recent weeks. The mood is very positive about the growth ahead. Most CEOs and CFOs I spoke to in the sector believe the macro growth fundamentals point to very strong growth for them in the coming quarters. You start to hear the same points repeated: only 30% of Chinese are connected to the Internet, people's incomes are moving up slightly, and people are becoming more and more interested in doing business over the Web. In virtually every major city right now, you are bombarded with outdoor advertising for major public and private e-commerce companies including Tmall (which is part of Alibaba Group, partly owned byYahoo! (YHOO_)), Groupon competitors, 360Buyand Vancl. The latter two both plan IPOs at the end of this year. CFOs also discuss how Web companies likeBaidu(BIDU_) and the major portals likeSina(SINA_) and Sohu(SOHU_) keep being able to raise their advertising rates because so many e-commerce Web sites are clamoring to get their ads on the front page. But what most in the States fail to understand is how challenging logistics is in China. We take it for granted back home how easy it is to get Fedex(FDX_) orUPS(UPS_) to fulfill an e-commerce order. Back in the early days of the Web 10 years ago, companies like Amazon(AMZN_) had to spend a lot of time getting people over the hump of trying to make an online purchase. They then had to spend some time thinking through building up their logistics infrastructure to support their growth. To Amazon's credit, they've done a fantastic job at the latter with world-class distribution centers and fulfillment process. In China at the moment, it's really the Wild West for most e-commerce when it comes to fulfilling orders. They are still at the stage where they need to get Chinese consumers to buy. Most Chinese think of Taobao when they think of e-commerce. They know they can usually get something online from there if they want to and they've had a good experience. (It was estimated that last year within China, 50% of deliveries made were for Taobao purchases.) However, they know far less about other vertical e-commerce plays. Groupon Is a Buy, but at What Price? The Groupspawn IPO: What Hath It Wrought?